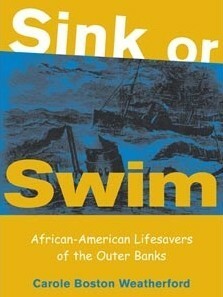 Just Us Books’ Sankofa imprint has reissued Sink or Swim: African-American Lifesavers of the Outer Banks. Consider using this true adventure, which is full of primary source documents and images–with the fictional Storm Warriors by Elisa Carbone. Order Sink or Swim here.